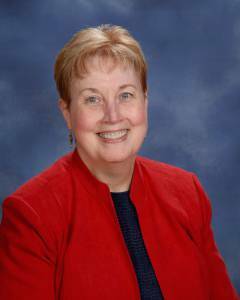 Rosanne Thomas was a DRE in the Archdiocese of Cincinnati before she joined Blessed Sacrament's staff in 2006. She has an MA in Pastoral Ministry from the Athenaeum of Ohio, has written five books and co-authored two more for Liturgy Training Publications, Archdiocese of Chicago, and teaches catechist certification classes in the Diocese of Covington as well as workshops for parishes in Cincinnati. She has three adult children and four grandchildren, is active in music ministry at Immaculate Heart of Mary Parish in Anderson Township, and enjoys reading, gardening, music, and scrapbooking family photos.